Our team at LARUS has been quite busy since the last JDBC driver release. 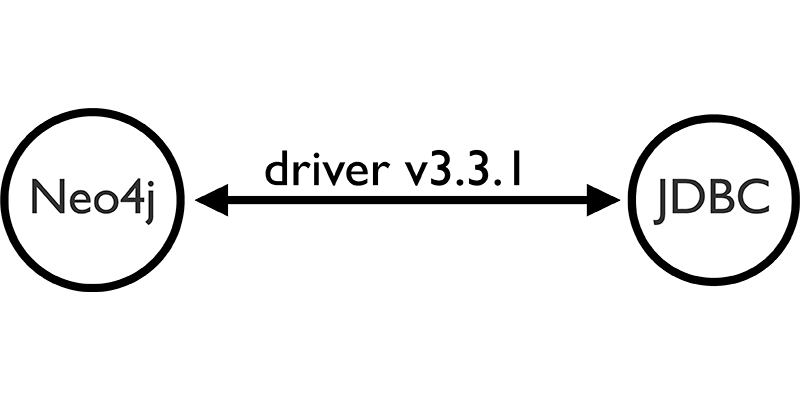 Today, we’re happy to announce the 3.3.1 release of the Neo4j-JDBC driver. Added Bolt+routing protocol to let the driver work with the cluster and being able to route transactions to available cluster members. Added support for in-memory databases for testing and embedded use cases. Added a debug feature to better support the development phase or inspect how the driver works when used by third-party tools. Added support for TrustStrategy so that you can now configure how the driver determines if it can trust the encryption certificates provided by the Neo4j instance it is connected to. Implemented the DataSource interface so that you can now register the driver with a naming service based on the Java Naming and Directory Interface (JNDI) API and get a connection via JNDI lookups. PLEASE NOTE: We’ve deprecated the usage of , as the parameter separator in favour of & to be compliant with the URL parameter syntax. Please update your connection URL because in future releases we’ll manage just &. (In the future, we want to use , for parameters that can have a list of values). 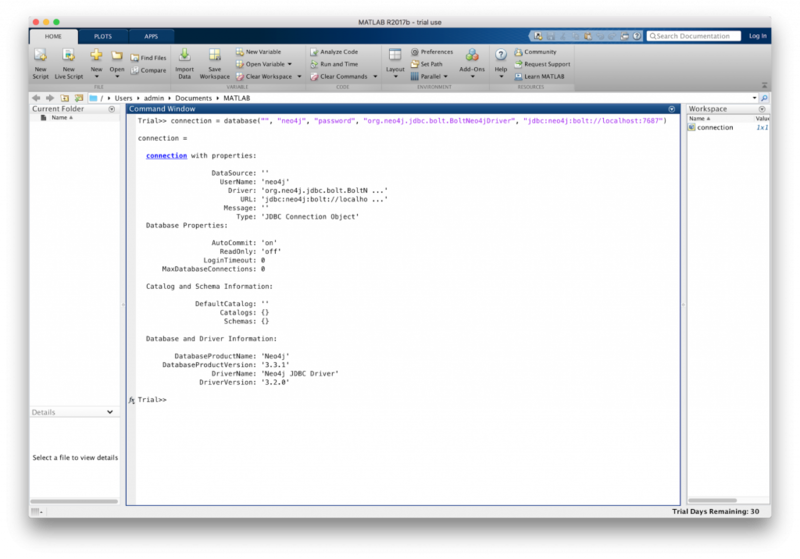 The documentation has been updated to explain how to use the new features and now includes a Matlab example. We implemented the DataSource interface so that you can now register the driver with a naming service based on the Java Naming and Directory Interface (JNDI) API and get a connection via JNDI lookups. This should help a lot when you need a server managed connection to Neo4j in a JEE environment. We also added implementations for several methods in Driver, Connection, Statement, ResultSet that were not there previously. This helps you use the Neo4j-JDBC driver with MyBatis and other frameworks, like Spring JDBC. It’s not always easy to adapt the brand-new Neo4j features and protocols to an old-fashioned interface such as the Java Database Connectivity (JDBC). This is because the capabilities of Neo4j Clusters and the Neo4j Java Bolt driver are evolving very rapidly. We’re very happy to present what we’ve been able to achieve! You might have noticed we introduced the new protocol jdbc:neo4j:bolt+routing which indeed allows you to create a routing driver. In that case, the address in the URL must be that of a Core server and the alternative servers must be ; separated (instead of ,). 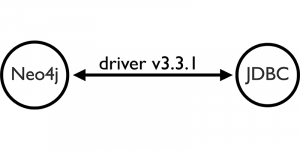 Routing driver with routing context is an available option with a Neo4j Causal Cluster of version 3.2 or above. In such a setup, you can include a preferred routing context via the routing:policy parameter. Transactions can be executed in either read or write mode (see access mode), which is a really useful feature to support in JDBC too. The user can start a transaction in read or write mode via the Connection#setReadOnly method. Note: Beware not to invoke that method while a transaction is currently open. If you do, the driver will raise an SQLException. By using this method, when accessing the Neo4j Causal Cluster, write operations will be forwarded to Core instances while read operations will be managed by all cluster instances (depending on routing configuration). You can find an example after the next paragraph. When working with a Causal Cluster, causal chaining is carried out by passing bookmarks between transactions in a session (see “causal chaining” in the Neo4j docs). Thanks to the bookmark, we of course expect that the total number of Person nodes returned is 1 (given an empty database), even if we are switching from a Core node – where we perform the CREATE operation – to some instance in the cluster, where instead we’ve performed the MATCH operation. We really hope you enjoyed our work, and we’d love to hear from you, not just about issues, but also how you use the JDBC driver in your projects or which tools you use that we haven’t mentioned. If you want to use the Neo4j-JDBC driver in your application, you can depend on org.neo4j:neo4j-jdcb:3.3.1 in your build setup, while for use with standalone tools it’s best to grab the release from GitHub. Want to learn more about how relational databases compare to their graph counterparts? Get The Definitive Guide to Graph Databases for the RDBMS Developer, and discover when and how to use graphs in conjunction with your relational database. 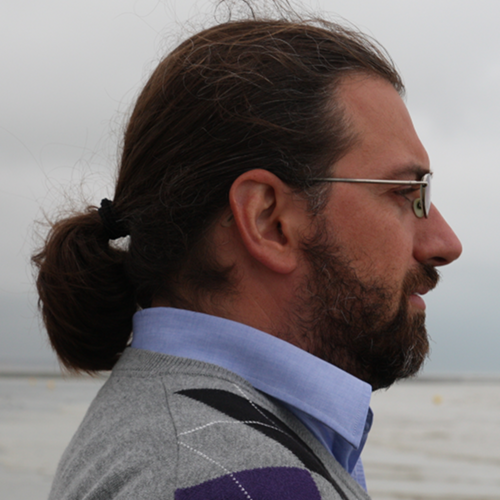 Lorenzo is a pragmatic and passionate IT-expert in software architectures and agile methodologies. After some significant experiences in business critical projects, in 2004, he founded LARUS Business Automation, where he currently hold the position of CEO. Nevertheless, he maintains his passion in software development by supporting his R&D team and contributing in some open source projects. Since 2013, he’s been focusing on NoSQL & big data technologies, preferring graph databases among all because of their flexible and expressive connected data model. He loves to teach and collaborate with people to build enthusiast teams and in his spare time he likes to cultivate his passion for art and cycling.